Enjoy the full experience of a walk through these amazing car dealership workshops, either on a screen or with VR goggles, giving you full experience of a real walk through. Within these VR models AUTOPSTENHOJ defined certain info points where additional information on the products is given, such as brochures, dimension sketches, videos, etc. – the range of possibilities is enormous! Welcome to the virtual world of AUTOPSTENHOJ #Experience! The 360° recording makes it possible to give you full experience of a real walk through. 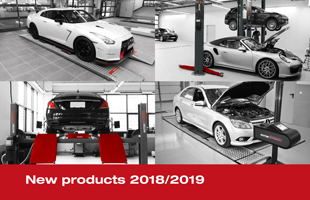 The car dealership Gebrüder Schwarte Lübbecke GmbH is a service partner for VW, Audi and VW commercial vehicles and one of 8 branches of the Schwarte Group. In 2017, the car dealership was built on a site of around 24,400 m², with the workshop area for passenger cars and commercial vehicles covering 1,240 m². KOED Aarhus Nord A/S is a dedicated BMW Service workshop that is also certified to perform service of electric models like the i3 and i8. They have over 25 years of experience with BMW and their new location in Aarhus, Denmark offers state-of-the-art service and repair. BMW Märtin is a big BMW car dealership in D-Freiburg, southern Germany. Experience a walk through and have a look at the big variety of our products, both inground and surface-mounted lifts. Mercedes Beresa in Münster, Germany is also known as the “car dealership of the future”, where new technologies are used to open up the house for customers. Experience a walk through and have a look at the big variety of our inground lifts.